Client Situation - An industry pioneer in using social and digital media platforms to roll out marketing campaigns for each of its 31 beauty brands and regions, these platforms continued to play a huge role in the company’s overall strategy. The company realized that digital is imperative to expand to new markets and new regions. Having witnessed dramatic growth in online sales in 2014, even in markets experiencing an economic slowdown, the company knew a smooth seamless user experience on their e-com and m-com business platforms was critical. This meant extensive testing of their websites and mobile apps. Testing ensures that their websites and web-based applicationsare functioning correctly at all times and are compatible in different browser and operating system combinations. Any faults would mean losing customers and sales. 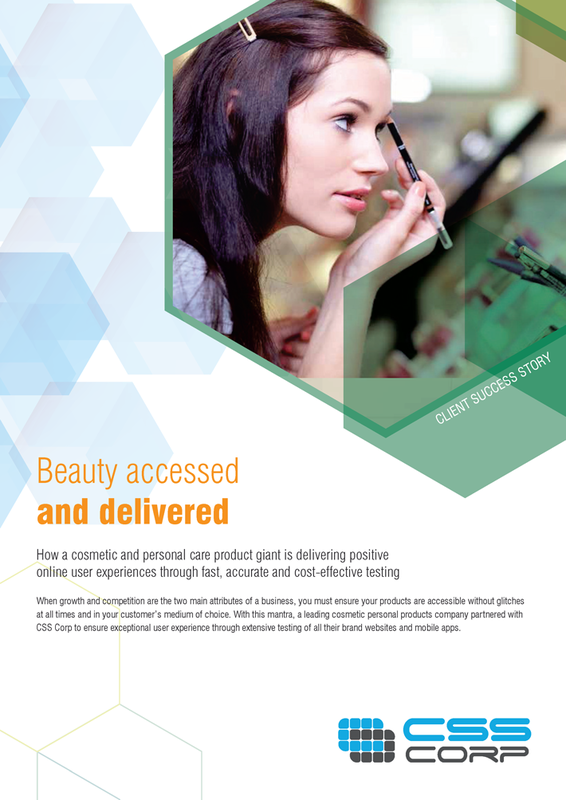 About Client - A US-based manufacturer and marketer of cosmetics and personal products.